We imagine a province where every person can experience a deep connection with nature, where people play and learn outdoors, and discover how to live in harmony with their natural surroundings. 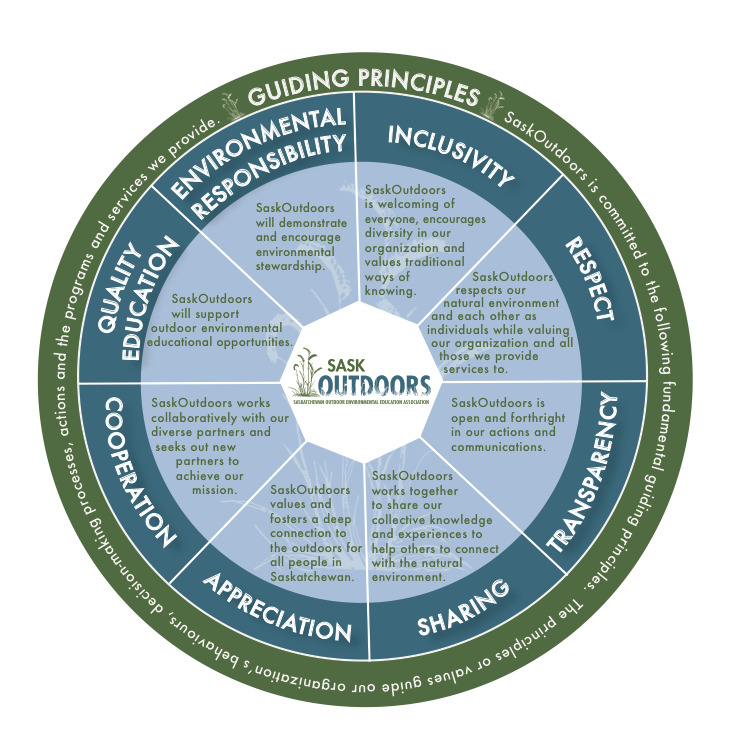 The mission of SaskOutdoors is to connect people of Saskatchewan to the outdoors and inspire a sense of discovery and play within our natural environment by passionately delivering programs and services that promote awareness of outdoor recreation and environmental stewardship. 1. Facilitating and providing varied outdoor experiences for people. 2. Increasing public awareness and involvement. 3. Building a viable and sustainable organization. 4. Developing partnerships and alliances. 5. Influencing outdoor education policies and curriculum.